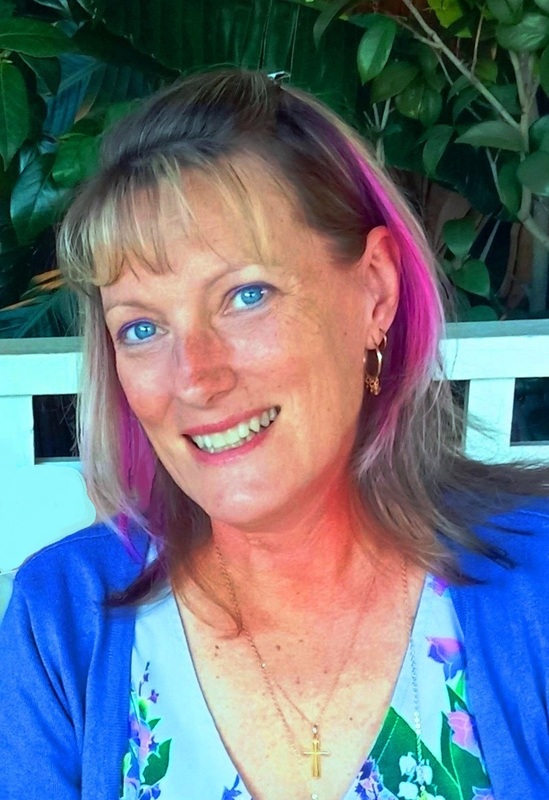 When I reached Midlife I had an epiphany of sorts as far as my relationship with myself went. I stopped seeing myself as middle aged, and settled and stuck, treading water in the same place, and started seeing a whole new person - someone who could stand alone if need be, someone who had a lot to offer, someone who had a brain and a heart, who had good friends and a great family network, who was a person in her own right......and I liked that person a lot. When I started liking myself and accepting myself, happiness seeped in. I couldn't force happiness into my life, it came as a byproduct of discovering my own worth and finding contentment in myself. Happiness didn't burst into my life with this discovery, it gradually crept in over time. It was nice to feel that way based on acknowledging my own self worth, rather than it being dependent on other people and how I thought they perceived me. There is a saying "Don't put the key to your happiness in another person's pocket" and another that says "Don't let your happiness depend on something you may lose". I was doing both of these things because I didn't have the confidence to take responsibility for my own happiness. You can't expect others to make you happy - it's not fair on them and it's not fair on yourself, you have to step up and see your own value. Taking responsibility for my own self-worth means looking at myself as a valuable and lovable person. If I can't see that in myself, then I'm never going to find it from other sources. Choosing to see the qualities I have, to give myself credit for the journey I've been on, to look at the positives and show myself kindness, is all part of the process. Finding I liked myself was the beginning and it just keeps getting better. Realizing I am enough - and quite often, more than enough - what a revelation! 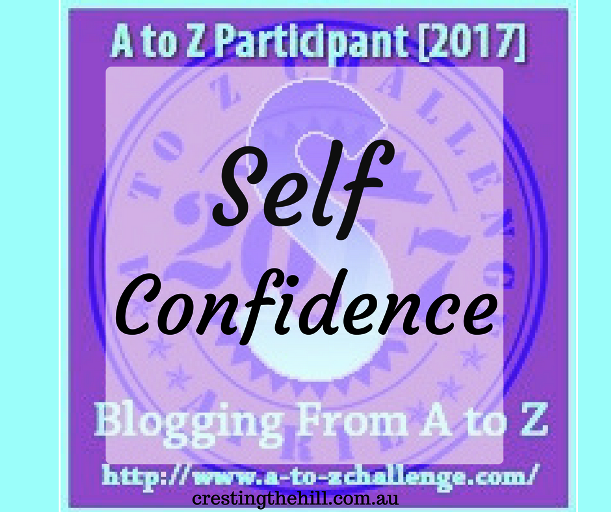 If you'd like to read more about Self Confidence you can go HERE or HERE. See you tomorrow for T which is for Time to Travel. These are profound words. I'm happy you had this epiphany and began to appreciate yourself. It isn't easy to do that and I'm glad you experienced it. I'm still struggling with it and would love to read how you did it. Was it a struggle? What tools did you employ? What did you do differently? Another blog post? I used to be that person who expected my partner to make me happy. Until he dumped me. I left the country and went of a quest to find myself. What you describe is exactly what I learned. It's in my own hands, and nobody else's. Another great post and life lesson, Leanne. Have a wonderful weekend! This is something that I still struggle with, and it is a learning process. Great post. This is such a profound truth and one I wish we could teach. But I think it has to be experienced. And yet, once we have it, there's no un-knowing it. And that is a very beautiful thing indeed. I love this Leanne! It's amazing how many years we spend chasing something that is within us the whole time! Within our reach. If we just look within! Applause, applause! I hope many people read this and take the advice you offer. Many of us have had this epiphany. "When I started liking myself and accepting myself, happiness seeped in. I couldn't force happiness into my life, it came as a byproduct of discovering my own worth and finding contentment in myself." Such true words! I feel I had the same experience. Great post!! Totally agree with you, Leanne. I have experienced the same. Self-love & self-confidence are much needed. More power to us to recognize! Another great post Leanne, I could relate to this one too. I have a postit sticker on my wardrobe door that says 'I am enough' - to remind me!! I'm happy for you that you came to this realization! Wouldn't it be wonderful if we grew up thinking we were "all that and more?" Wonderful epiphany and post! 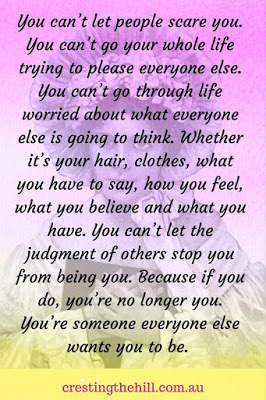 Your words are so true, we can't make anyone else responsible for our happiness, it comes from within ourselves. I am needing to be more confident..and yet I was for decades!! This changes in my life keeps dragging me down and for some good reasons which I can't disclose. I will take some of your words to heart and do my best to put them into action. Thank you for linking up today for #lifethisweek 17/52. Next week: Taking Stock. Thanks so much for sharing those happiness quotes. They resonate so much with what I need to remember for my own life. there are definitely benefits that come with middle age and self confidence is one of them! Great post! Even though I am not midlife yet. I find so much inspiration and wisdom from you posts. You have a knack for honing in on what I am feeling at that moment whenever I read your posts. You are an inspiration and your words truly help and inspire me. Thank you for sharing your wisdom.